Thank you for sharing your stories with us last month about your parish’s Spring Evangelization Efforts! Read some of our favorite stories below, and if you have one to share, please don’t hesitate to take this month’s survey or email us. 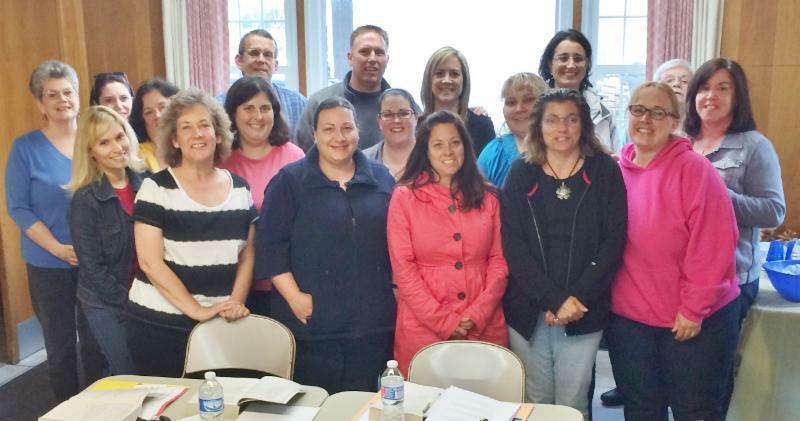 Attendees of the April 2015 CRO class just held for PREP/CCD parents, especially those parents of First Holy Communicants. Since October 2013, Our Lady of Charity Parish in Brookhaven, PA has used the Catholics Reaching Out (CRO) Program, inspired by Paulist Evangelization Ministries. Thus far, we have conducted four programs in the fall and in the spring. The first two programs were open to anyone (inactive, lukewarm, and active Catholics) in the area who wanted to develop and deepen their relationship with Jesus as well as gain a deeper appreciation of the Catholic faith, especially Holy Mass. The most recent two programs were offered especially to PREP/CCD parents of Confirmandi and First Communicants, to stress the vital and primary role they play in forming their children’s faith by setting a consistent example. For this reason, we wanted to tailor the program to help parents understand their vital role in forming their children’s faith, as well as help support them in their own faith journey as well as that of their family’s. This program offers three seventy-five (75) minute sessions to parents who’ve just dropped off their children in PREP class, and allows them to be finished in time to pick up their children from classes next door. It’s a very warm, welcoming, informal, open, and highly interactive environment that allows parents to share and learn from one another. Thus far, we’ve received excellent reviews from all who’ve participated in this program. Further, we’ve seen a number of conversions resulting from this program, as well as attendees reaching out to invite family and friends to the next CRO Program. People have even returned for a second time because they enjoyed the classes so much. My parish and this program has been featured in CatholicPhilly.com as well as Our Sunday Visitor. Our Faith Formation Office is sending a letter to all families with children who were baptized in the parish under the age of Grade 1 in September. The letter will encourage them to start a Mary garden, or have a plant on a windowsill with a statue, and includes a seed pack and some information about flowers related to Mary. Many of these families do not attend church and will be invited to visit. In August, we’ll send out an invitation to register for Rel Ed to those of kindergarten age. We have a “Victory Garden Ministry” where volunteers plant and grow fresh vegetables in the parish garden. This was an idea of one of our parishioners who had recently retired from his employment and was looking to give back to the community. Jack Hess, volunteered to direct this ministry which he began 2 years ago. 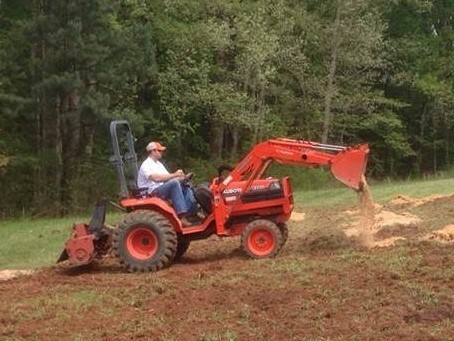 This ministry has inspired many parishioners this year and we now have 15 new volunteers–plus volunteers from youth ministry–who participate in the preparation of the soil, the planting, the maintenance and harvesting. Vegetables are harvested through the summer months and brought by the volunteers Mass for parishioners to take home after making a cash donation. The donations are then collected from each Sunday and gifted to the local food pantry. Last year the equivalent of the proceeds fed 12 families for a year; and so we are increasing the size of the garden this year! Our parish, Immaculate Heart of Mary Parish, hosts a two-week Summer Religious Education program for public school students in grades 1-8. We offer three different summer sessions in addition to the usual Sunday religious ed program. After Christmas and Easter, we have a program called ‘Open Door’ for anyone interested in the Catholic faith or for anyone interested in the Catholic faith or for returning Catholics as well as year-round RCIA.